The quality of the opportunity at Logistics North has already attracted a number of national and international occupiers with around 1.8 million sq ft completed or already under construction. 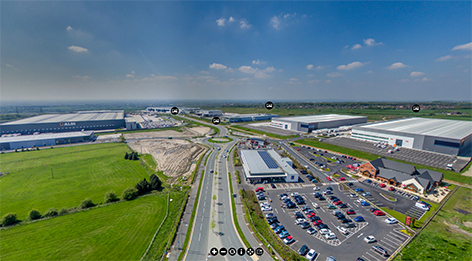 Logistics North currently has seven units available for immediate occupation: the 175,000 sq ft Logistics 175 unit near the entrance to the site, unit F2/B (55,556 sq ft) within Multiply Phase 1 and four units within Multiply Phase 2 including the 149,198 sq ft F2/G unit. There are five additional units currently under construction within Multiply Phase 2 ranging from 20,344 to 30,457 sq ft alongside a larger unit at 149,148 sq ft. Multiply Phase 3 is also anticipated to bring a further two units with availability anticipated in 2019. The scheme benefits from extremely strong support from Bolton Metropolitan Borough Council, the Greater Manchester Combined Authority, and MIDAS – Greater Manchester’s Inward Investment Agency.